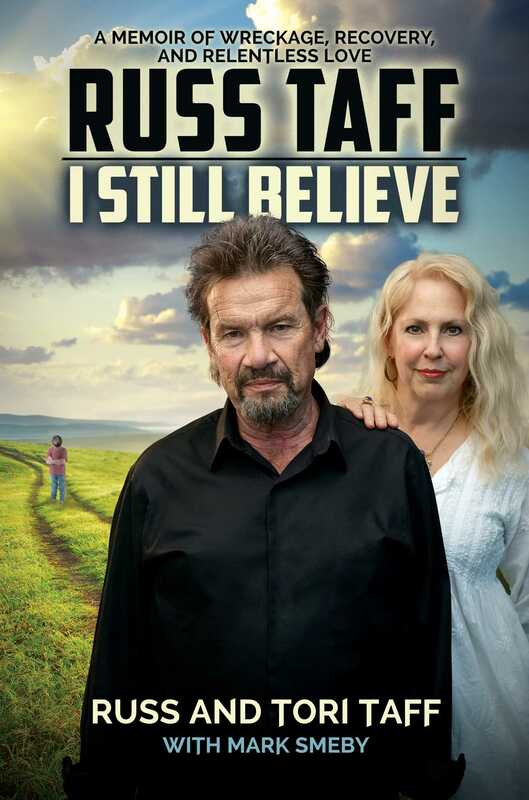 I Still Believe is a story that spans decades of multiple Grammy winner and Christian music icon Russ Taff's life, told from the first-hand perspective of Russ and his wife, Tori. You’ve seen the movie; now get the complete, unflinchingly honest details of the journey from childhood abuse to massive success with music, from the searing pain of addiction to his hard-won recovery. Russ opens up in-depth for the first time about the shame and trauma that irrefutably impacted his faith, his family, and his career. But woven throughout I Still Believe is a miraculous testament to the power of love—from God, family, and friends, but especially from Tori, who was fierce in her love for her best friend who was slowly disappearing before her eyes. But this relentless love and a lot of hard work helped Russ move out of hiding and into the light of recovery and acceptance. Above all, this is a story about hope. Hope for anyone who feels they have been hurt too badly, fallen too far, or caused too much damage along the way. This memoir stands as a testament that in spite of seemingly insurmountable odds, there is always reason to keep believing. Russ and Tori’s beautifully broken story will encourage any reader that there is no need to be defined or held back by the trauma of the past; instead, life can be rooted in and restored through faith, recovery, love, and the promise that God will never let you go. "This is a compelling, powerful story about Russ Taff's life. It'll blow your mind on many levels. He is sharing what probably many of you did not even know about his life. A very troubled childhood, and a battle with addiction, which many people have these days. The beauty about the story is that God is still in the business of redeeming people. And this is an extraordinary story of redemption." "I love Russ Taff. He's one of my favorite people and that wife, Tori, oh gosh. You know, he would be nothing without her. He wouldn't. I mean, really, she is a rock. I'd rather someone show me their scars than show me their trophies, and he's got six GRAMMY awards, but I bet you've never heard him say it. He's a legend and he just happens to be an alcoholic. And I've known that for years, and all those who love him have known that. And he has worked through it and it has been a process that I would not have wanted because it's a hard one." "I know of no one in the Christian music field who is loved as much as Russ is loved. And I think one of Russ' greatest gifts is he's still able to laugh at himself. I don't know of anybody with more humility, and maybe this is true because of pain, because character usually comes through pain. Seldom does character come through success. And you can't say Russ without Tori. This sweet little lady was just there the entire time, soft and gentle and yet as tough as somebody who really loves somebody needs to be in that situation. I don't think I know of anybody in our field who has been such an extender of grace than Tori."